Toad the Wet Sprocket is touring quite a bit this year. Check out all the dates here. Could new music be on the horizon? I won't get my hopes up. 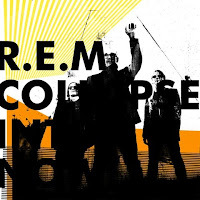 Plus a new tune, a new compilation of rarities, and a full-blown US tour! More details soon! The Radiohead mythology grows with the release of The King of Limbs. Irritated or intrigued? The world's first "newspaper album" is available here digitally. Electro De Perfecto is the newest album from Mike Viola, one of our time's premier popsters. It should be out this spring or summer, just in time to make it the soundtrack to your summer. Judging by the first track he's released for our gracious consumption, it will undoubtedly be mine. Check out Sound Of My Summer on his Facebook immediately to start feeling that sunny warmth. 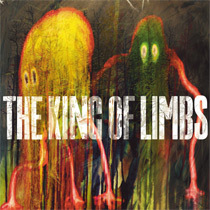 Radiohead continues its innovative surprise attack album releases with today's news of The King of Limbs. The new full-length is digitally released on Saturday (?! ), but there will be specially packaged editions for the hardest-core fans that will come out this May. Radiohead has moved away from the "pay what you want" model that they used for their 2007 album "In Rainbows," but they retain some of that campaign's innovative marketing tactics. The album will be packaged as a high-end collectable item for fans and the quickly distributed digital release will help to combat unofficial leaks. An extravagantly packaged version of the record will be issued, including two clear 10" vinyl albums, a CD, special artwork and more. A digital-only presale version of the album will also be made available. Pre-order here. What is known about it? The New Pornographers are touring this spring! Guster is now offering their Daytrotter session for the low low price of free. Hang On, Hercules, Bad Bad World, That's No Way To Get To Heaven, and Backyard. Free. 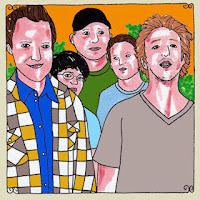 Me gusta Guster (and Daytrotter)! As previously reported, The Beatles' Love is now out via iTunes. Exclusive to iTunes are The Fool on the Hill and Girl. Unexpectedly The Beatles and Apple are letting us download just those two songs! I would've completely expected them to force us to purchase the whole album to get the exclusives. Cynical much? Find the Love at iTunes. Spike Jonze is hitting the festival circuit with his Arcade Fired short film Scenes from the Suburbs. Check out "some kind of trailer" featuring angsty suburban kids and their bicycles. No. Really. As of this writing, tix still available for every show except Denton. The two Wilco shows I've seen have been two of my favorites, particularly the one in support of Blue Sky Blue. And don't forget to catch up on their other recent news, including the formation of their own record label and info on Solid Sound Festival. Hipsters-seemingly-from-another-era Fleet Foxes are releasing Helplessness Blues on May 3. Judging from the title track it sounds like they're not straying far from the autumnal warmth of their self-titled debut on this upcoming second full-length album. I'm just thankful the cover art lacks pretension. New U2 album is coming in May called "new album 2011." The timeline has been confirmed but the album name not so much. 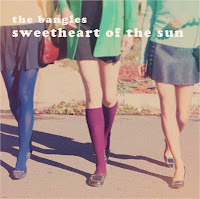 The Bangles - yes, The Bangles - have a new single called Anna Lee (Sweetheart of the Sun). You'll soon be able to buy a "collectible 45 vinyl" that features a Matthew Sweet cover of the new tune! Very cool, uh, except you have to go to Maurices to buy it. Don't know Maurices?! 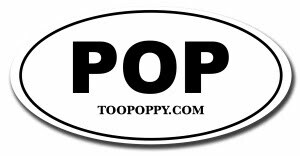 Well, it's "the leading small town specialty store and authority for the savvy, fashion conscious customer with a twenty-something attitude." It's the only place I buy my music.